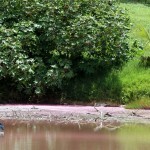 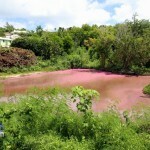 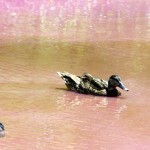 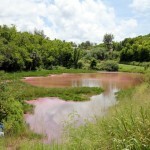 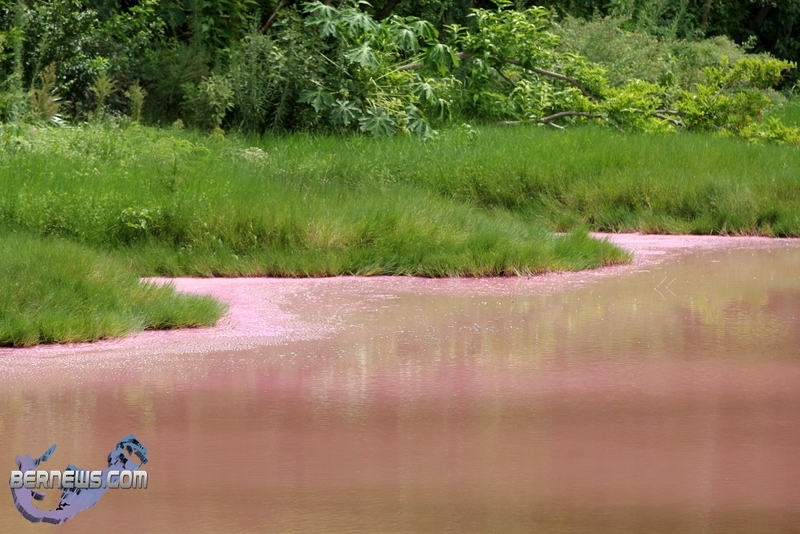 The Department of Conservation Services carried out preliminary tests on a sample from Seymour’s Pond in Southampton and found single-celled plankton and numerous bacterial cells which are known to produce striking pink “blooms” in salt ponds. 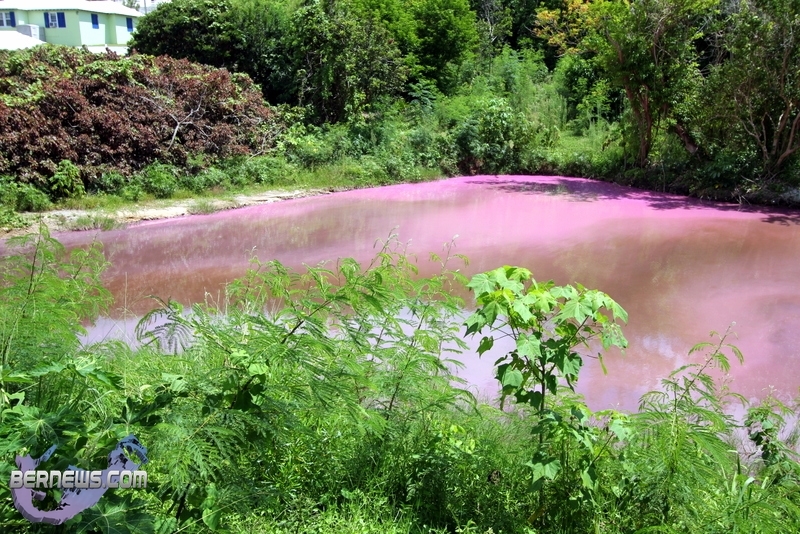 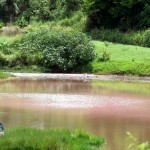 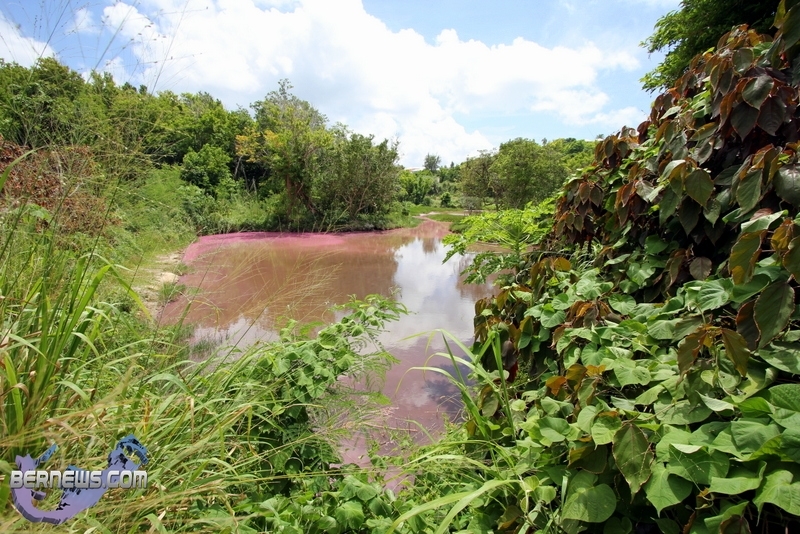 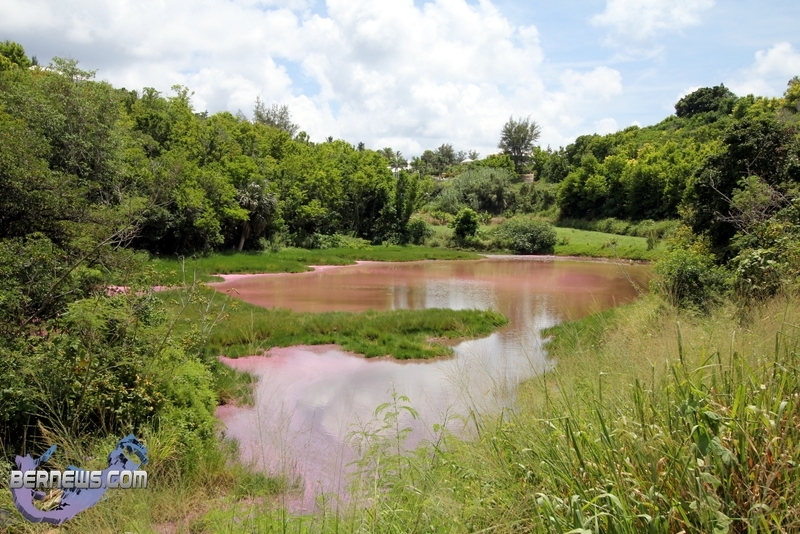 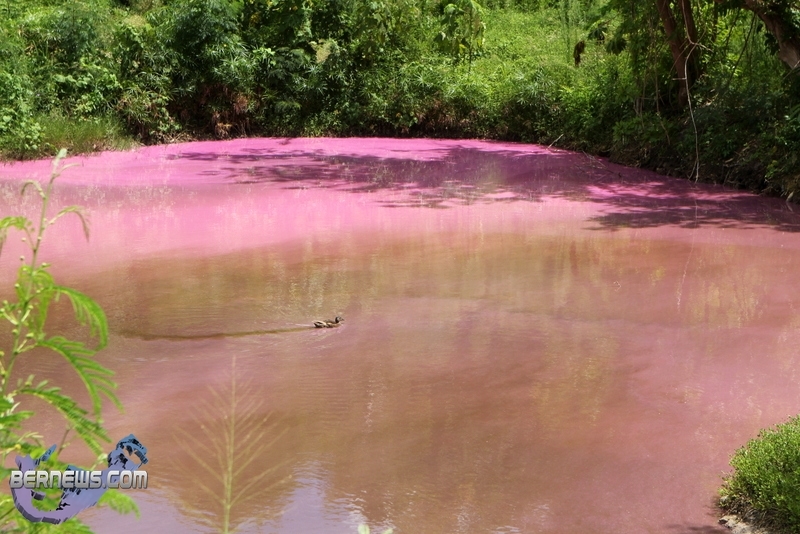 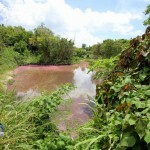 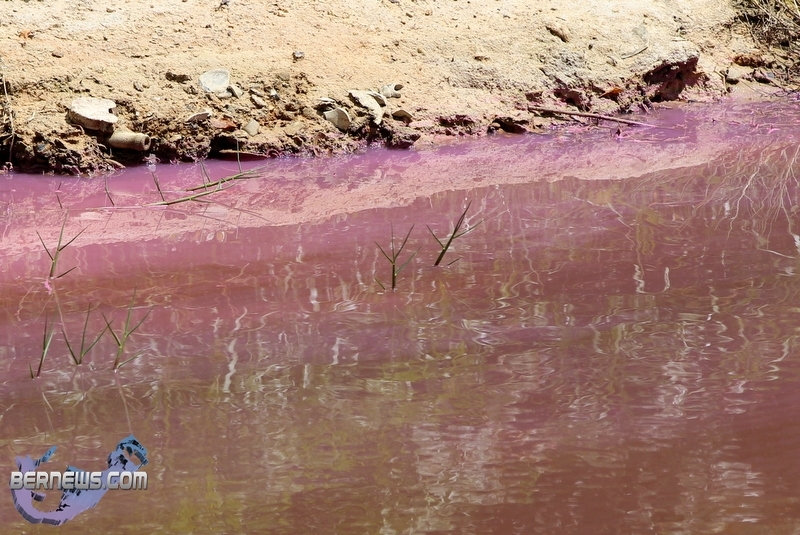 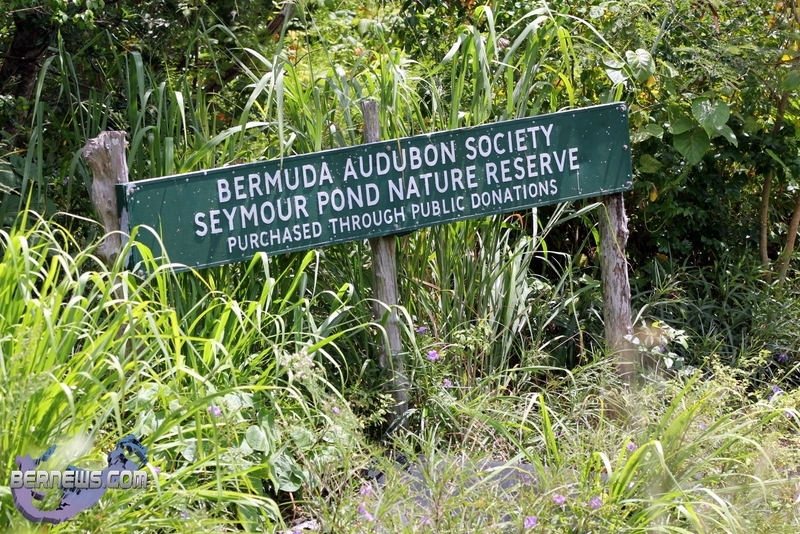 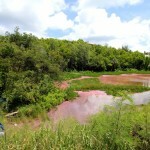 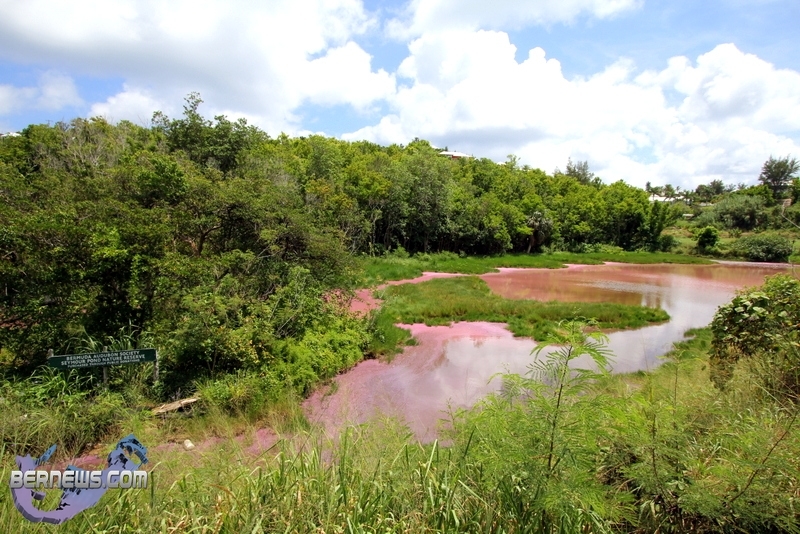 A spokesperson said: “The Department of Conservation Services has today carried out preliminary tests on a sample from Seymour’s Pond and found a number of different organisms that are quite abundant. 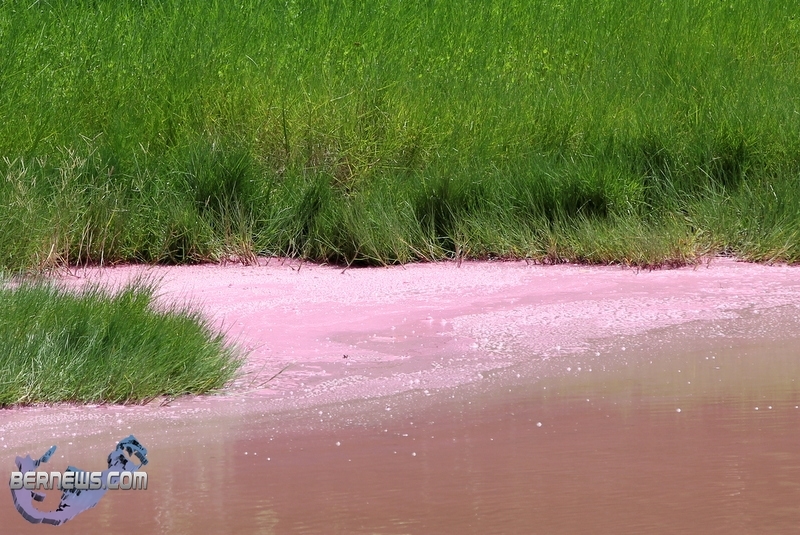 “There are two groups of simple single-celled plankton, called dinoflagellates and chrysophytes – the latter being more abundant. 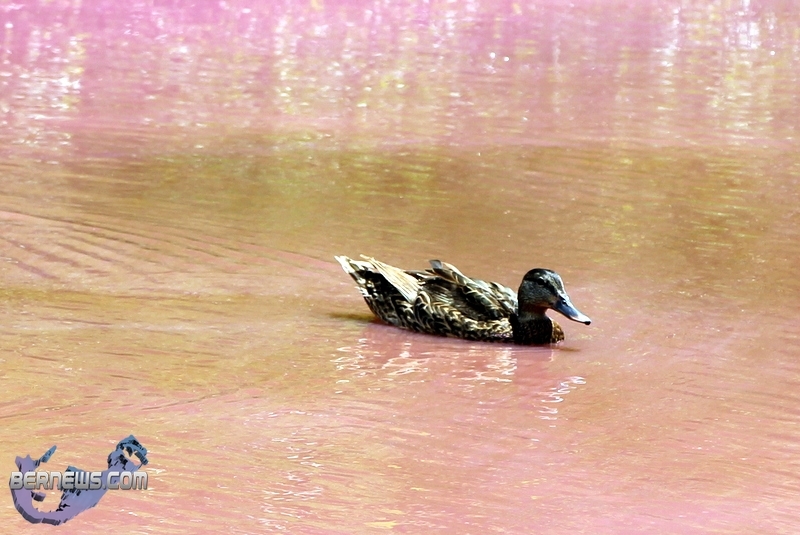 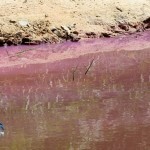 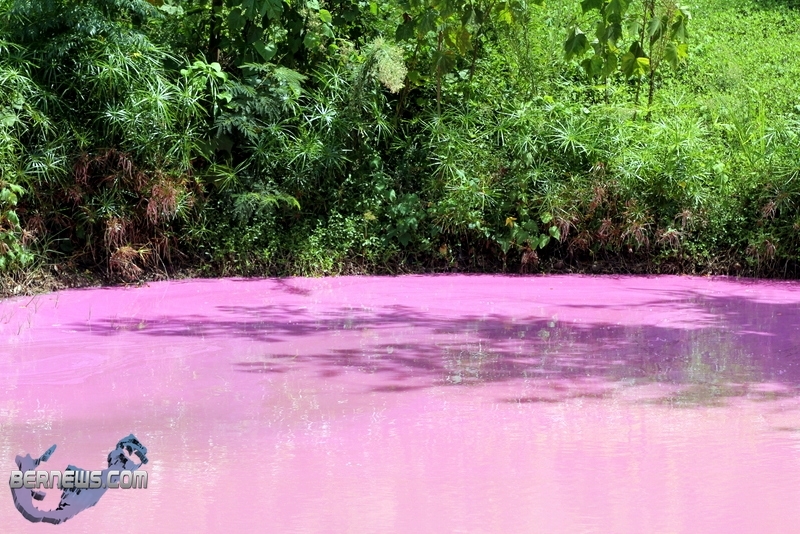 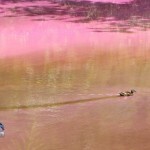 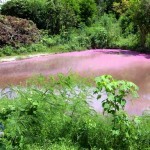 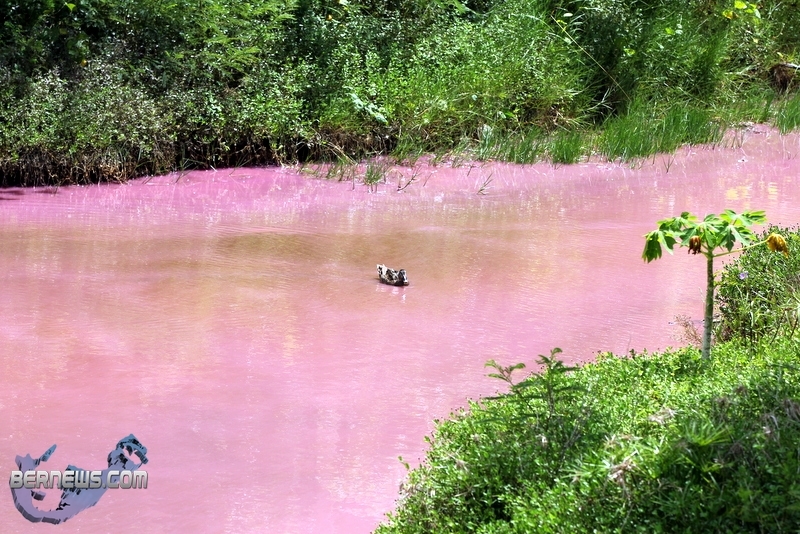 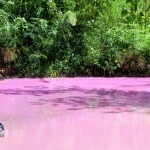 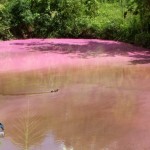 “There were also numerous bacterial cells, possibly a species of salt-loving bacteria called Halobacteria, that are known to produce theses striking pink “blooms” in salt ponds in many parts of the world. 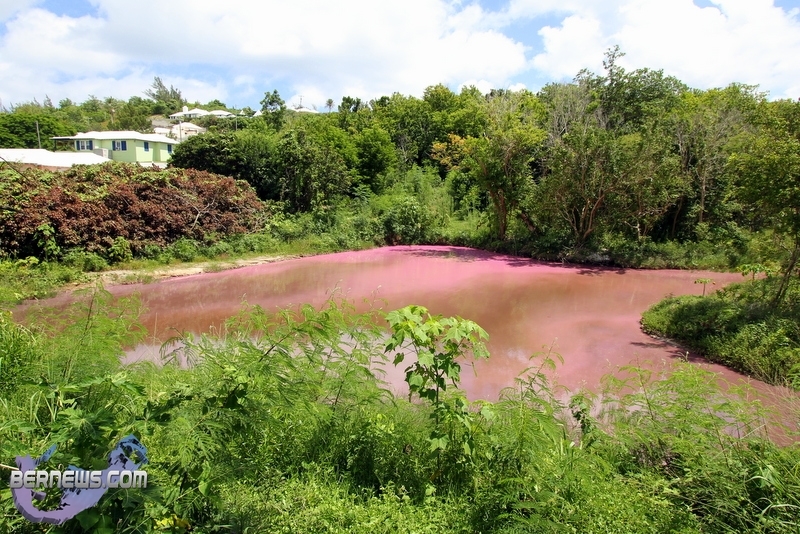 “The Department will be monitoring the pond over the coming days and weeks to see if there are any changes in the biology of the pond over time,” the spokesperson concluded. 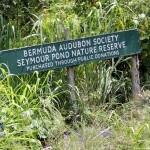 This is natures way of speaking out for “two words and a comma”. 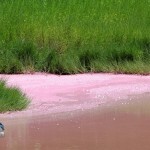 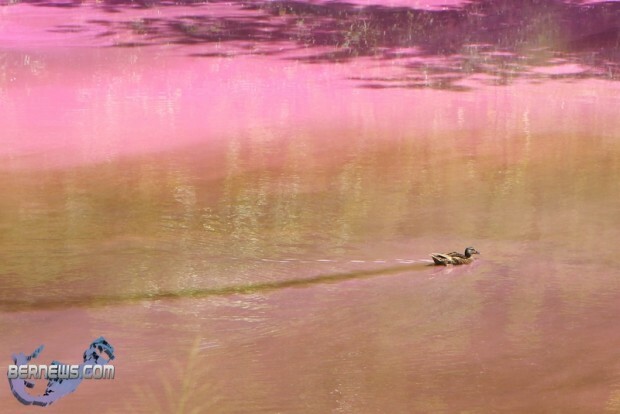 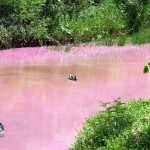 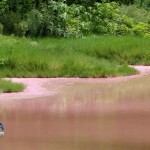 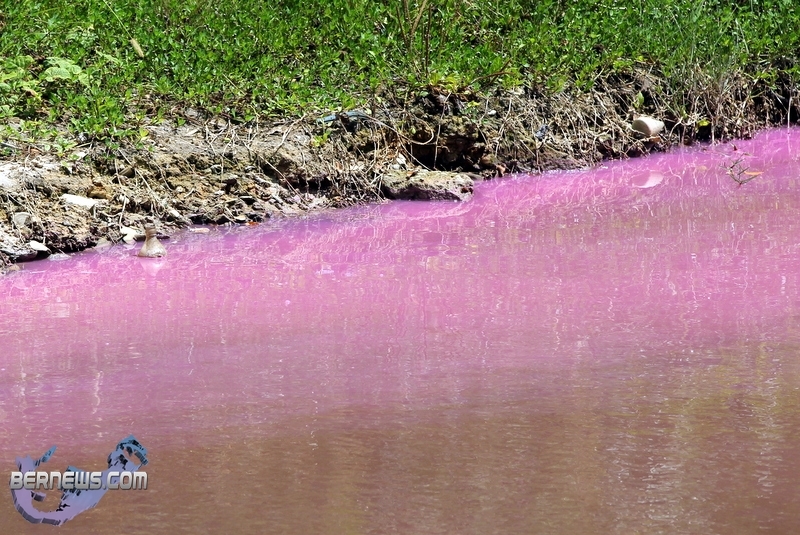 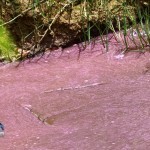 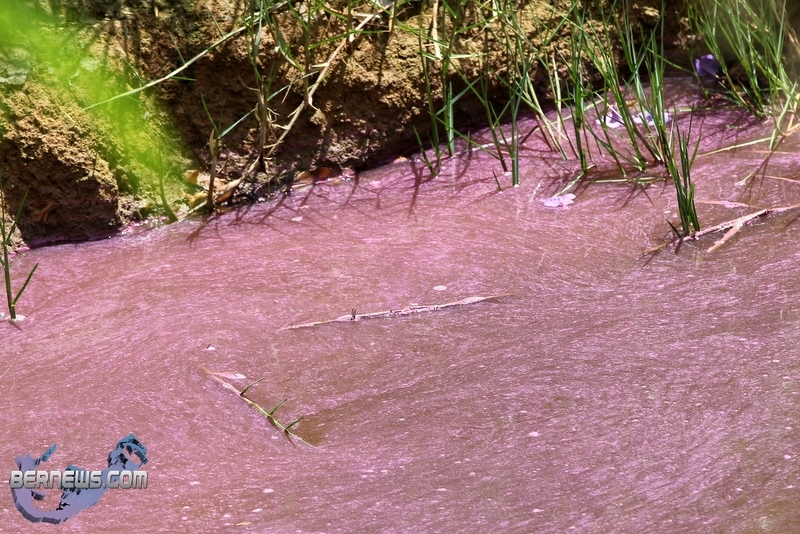 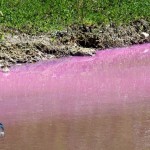 Are these pink plankton edible for flamingos? 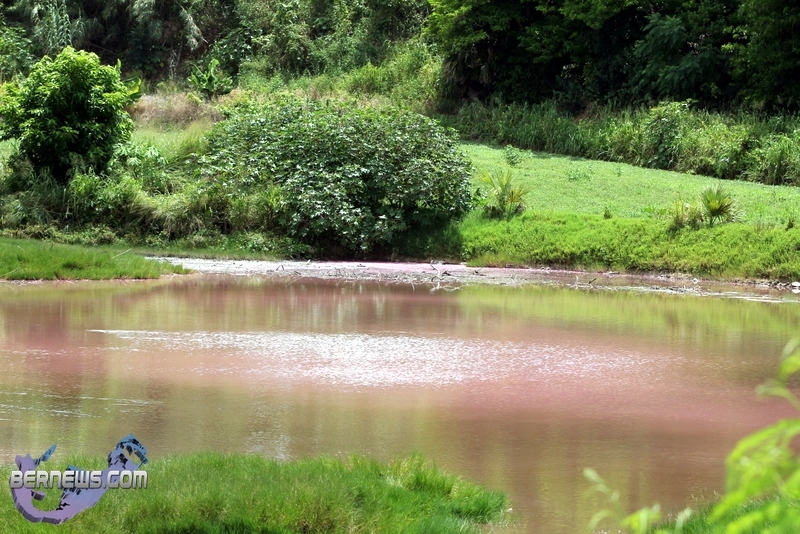 If so, and we’d like the pond to return to its green-ish state, perhaps the Aquarium and Zoo could move a few there for a couple of weeks to feed. 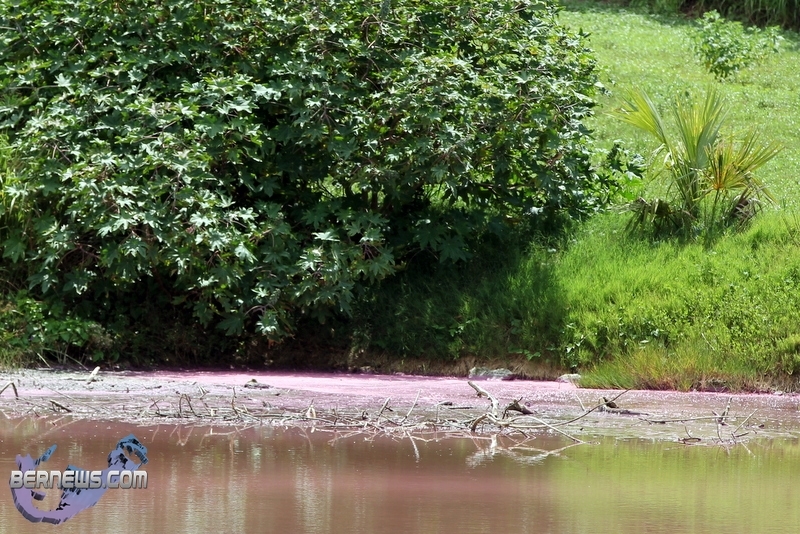 Flamingos are amazing, we should release them all anyway – would be great for tourism!